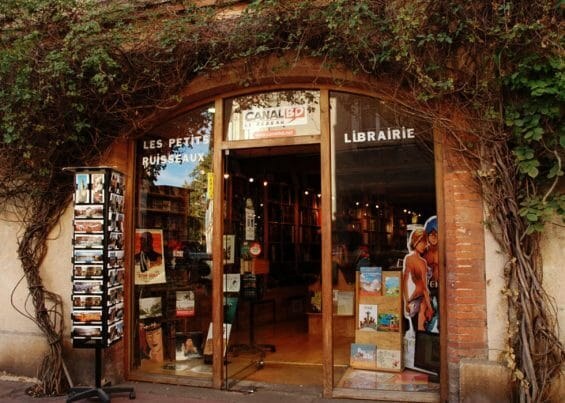 Photo: front door of the bookstore "Les petits Ruisseaux"
Do you live around Toulouse, France? Then this message is for you: this Sunday, May 21st 2017, I'll do a signing session at the bookstore "Les petits Ruisseaux" (11 rue Villeneuve, 31000 Toulouse) between 10h and 13h. It's a perfect event to meet Pepper&Carrot readers, friends and free/libre lovers around Toulouse :-) I'll sign all of your Pepper&Carrot books (and draw something on them if I have time). More info (in French) on this post from SqueeekGPS. So, see you on Sunday? 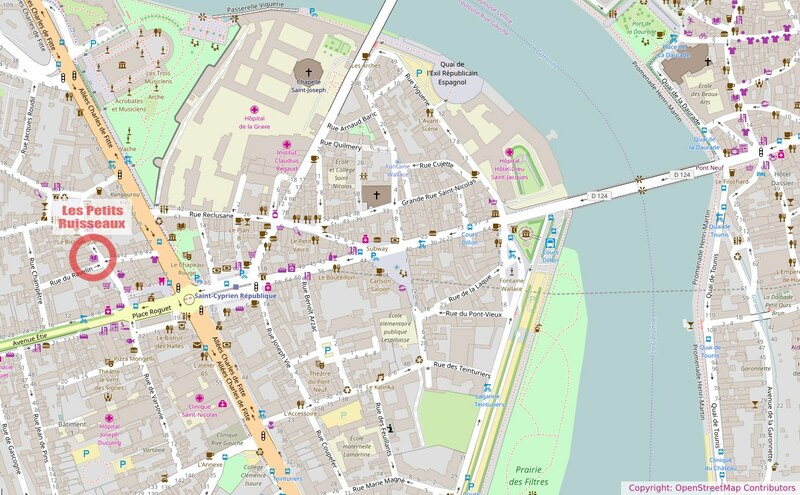 Screenshot of OpenStreetMap (open this view here) with modification to underline the location of the bookstore in red.